If you love cooking and often want to treat your family, friends, relatives and of course, yourself to delicious, well-cooked homemade food, you obviously do understand how important it is to choose the right kitchen appliances, sets of pots and pans, and etc. to make the task much easier and convenient for yourself. And if you are like me, a working lady, you will undoubtedly want to buy kitchen items that easy your way. When I started out as a young working lady (Not that I am old now! ), I really found it difficult to manage time for everything. But now, I really find it easier to cook more and more delicacies every day and believe me or not, my family thinks that I am the best cook they have ever seen! Well, that may be a lovely compliment from my family, but the truth is, recent kitchen items have indeed eased the way for people like me who love to cook but cannot wait for hours for preparing the food or cleaning off thereafter. 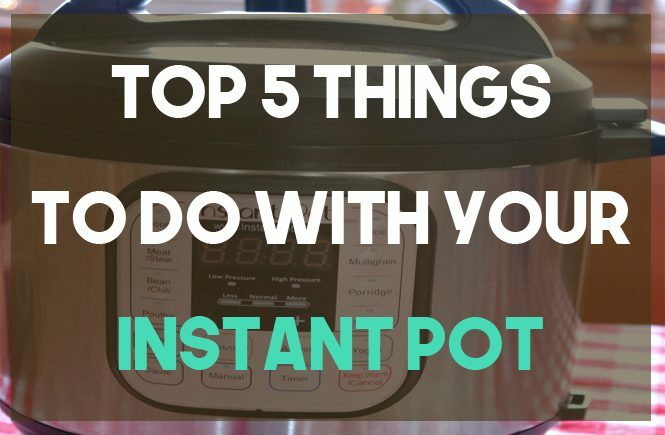 One of those lovely inventions is the Instant Pot, a 3rd Gen Programmable Pressure Cooker that indeed takes the pressure off your shoulders. It is a medium sized multifaceted cooking pot that you can use as a pressure cooker, rice cooker, slow cooker, porridge maker, steamer, sauté/browning pan, stockpot warmer and yogurt maker – all combined into one single item that is available at a very affordable price. If you are looking to have delicious roasted chicken, it’s best that you first allow the skin to be seared on sauté and then on high pressure for half an hour. Allow a few minutes for natural release and you have the perfect chicken roasted as well as some delicious juices. The IP can cook even frosted food. So no thawing time needed. If you are planning to cook frozen food, make sure that they are frozen in round-shaped plastic containers (about 64-96 oz) to match the structure of the Instant Pot. Do not rigidly stick to the recipe durations that you find from various sources. If you are cooking frozen food, the pot will take some extra time (though nothing as compared to the thawing process). If you have used the IP for quite a few times now, you can try preparing lamb or beef dishes without any water. Though it may be a bit difficult for newbies, once you get used to using it, you can cook without any water, allowing water from the sauces, meat and red wine to cook the meat thoroughly. Avoid use of excess water for all food items, you will get better delicacies. If you love gorging on popcorn (my little ones do!) you will find the IP to be your best companion. Just use the sauté option and allow it to slow cook with a glass lid. Not only that, you can prepare your next round of cheesecakes in the IP without a problem. Smooth, fast preparation, totally hassle free. Like muffins? Well, you can use the pot to make nice, home-made muffins for everyone (don’t expect them to be exactly like the oven-baked ones). If you use any sort of dairy products or flour for your cooking, it would be best that you clean the pot immediately post cooking, as these ingredients tend to stick to the valves and seals, thus inviting trouble. Different recipes need different pressure ranges, be sure to get the hang of the right pressure needed for different items for surprisingly tasty delicacies. 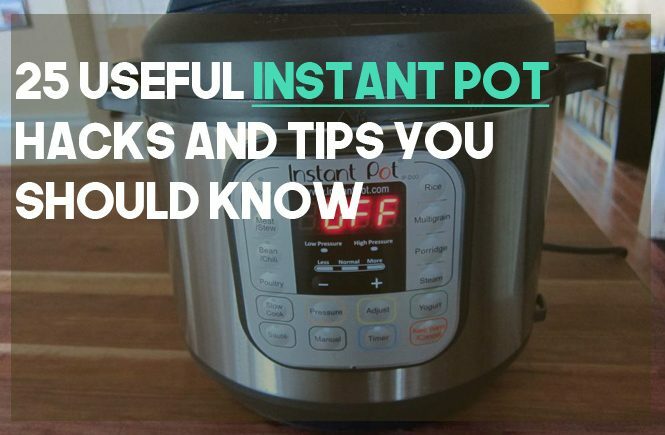 If you love boiled eggs, you are going to love using the Instant Pot. Peeling the shells becomes super easy; adjust the timers in the ‘manual’ mode and you can have your egg exactly as you like – hard boiled, soft boiled or poached. The sauté mode can be used for making gravy or simmer sauces after you have cooked a meat. You can use the steamer basket (purchased separately) to cook multiple items simultaneously, thus saving time. Since the IP can be used for almost all recipes and dishes, you may as well replace your ovens. If you are just starting out with the pot, go easy and be relaxed. Make sure that you try out the water test as instructed first. If you aren’t quite sure what time would be perfect for the food being cooked, stick to the pre-set settings initially. When you reheat frozen food often or steam veggies, try using the trivet. That will make the job simpler and faster. Have a small family or a big one? Not to worry as the IP is good for all, bulk as well as small servings! The ring tends to absorb the flavors from the dishes. So before you prepare the next dish, make sure that it’s well washed and dried. Avoid placing it on the stovetops while preparing food. The bottom of the pot may get burnt, ruining your appliance. If you are a frequent user, it would be the best for you that you buy an additional insert for the IP (stainless steel, of course). That way, you would need to wash between cooking different food items. The pot can also make natural, hard lotion exactly the way you want it to be. It may not be a food, but it is useful. Troubled by cough and cold? Use the IP for an all natural, homemade cough syrup. Have dogs? 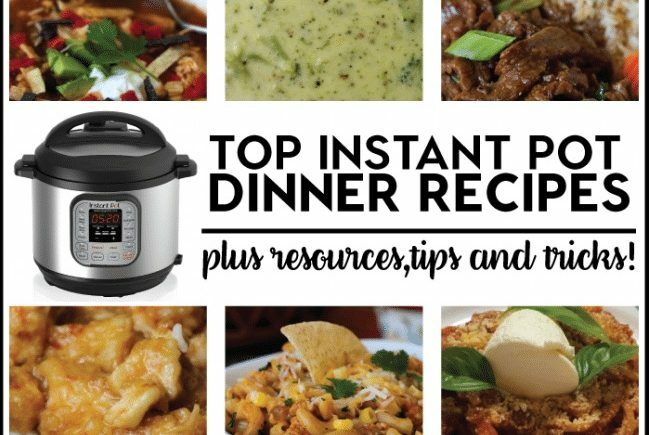 Feed your buddy home-made, well-proportioned dog food made with the Instant Pot. P.S. 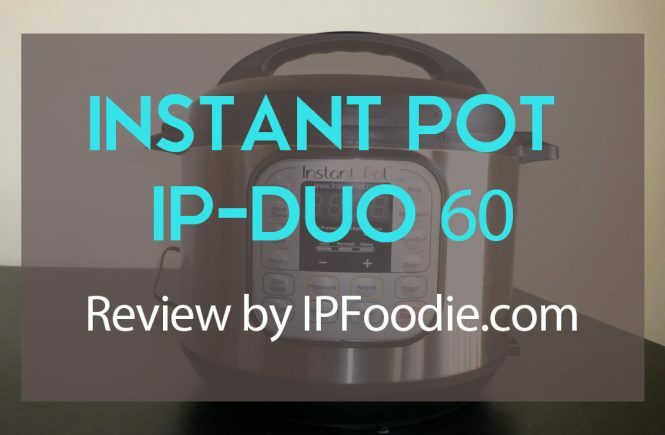 Instant Pot IP-DUO80 (8 Quart) is on Sale at Amazon.